Grab a beverage and buckle in, this is a lot of club news… you aren’t going to want to miss this. Our new fall marathon program, led by Ambassador Carrie Assell, officially kicked off on Thursday with our seminar by Kevin Sawchuk. Come train with your club mates on Sunday mornings. This is a free benefit to our members. Even if you aren’t doing a marathon, you can still get in your long runs with some fantastic company. View the schedule and details. As with any volunteer group, changes with work and life can affect volunteer time. We said at our kickoff at the beginning of the year that we never wanted anyone to be afraid of committing to club volunteer efforts in fear that it would be come too much. It’s always okay to just say “life happened” and then we make changes. We’re athletes, we roll with it. So please volunteer. Don’t know what you can do? No problem. Just drop us a note of what you are good at. Every member has skills to offer that you employ in your daily work and home lives. Tell us your passion and we’ll find a way for you to help (and fulfill your challenge series volunteer hours!). That said, Dan Leonard, our Treasurer, had the awesome opportunity to start his own business, but it did mean that he needed to resign as Treasurer to focus 100% of his time on that venture. We wish him well! But that means we need a new Treasurer. The position entails very basic bookkeeping using QuickBooks online as well as engagement with the general business of running the club as a board member. Commitment is approximately 2-5 hours per month. We sure could use someone with accounting skills. Are you a CPA? We’d love to hear from you. All good things must come to an end, and our Yahoo Group is now one of them (gasp!). Yes, it is time to move on. When we started the Yahoo group, it was because Facebook didn’t exist as a channel and our website wasn’t the best way to communicate. Neither of those things is true anymore. We have a new sparkly modern mobile friendly website which just finished a platform migration (one of our board milestones) and Facebook is pretty much now the standard social communication channel. Also, we’ve been having increasing technical difficulties with the Yahoo channel timeliness as well as the fact that many members can’t receive Yahoo emails through their work firewalls. It also generates too much email spam on topics people don’t want. We just have too many communication channels to manage effectively and consistently by our volunteers (including this newsletter). Coming up in September, we are going to be consolidating all communications into a new FMRC Facebook Private Group. Please start following it now. We are also going to be collapsing most, if not all, of our “extra” Facebook groups into the single group so everyone can see the club activities. This is important for our group to reach our entire club rather than just a portion of members as well as gain traction for volume in Facebook (Facebook feeds reward more interaction with higher rankings). This is also going to be one of our last emailed newsletters as we are moving away from big news drops that take a lot of time and collaboration to produce to more on-demand, frequent communications. The goal is to have the Yahoo migration completed by the end of September and turn off Yahoo 9/30. I just heard the collective gasp all the way from here!!! But wait you say, I don’t have a Facebook account! Oh no! Not to worry, we will have the Facebook feed displayed on the website so you can get the information even if you don’t have an account. You won’t be left out in the cold (but you will receive a lot less email spam). The website also has all the latest calendar events and news available. But what about my current Facebook FMRC small group? We still want you to get hot news in the primary channel for your favorite topics so there will be a new hash tag format added to posts to keep you connected. For instance, #FMRCtrails #FMRCtuesdaynightride #FMRCambassadors #FMRCswim #FMRCrunning, etc. Migration small groups will be on a slower pace as we need to work with all the owners of the groups on the transitions appropriate for each channel. Still freaking out? Drop us a note and we can connect to address your concerns. The FMRC President will be at the Tuesday night 8/23 ride as well as the 8/24 Wednesday night run if you want to chat. Are you a Facebook connected person that is “always on”? We want to hear from you! We need a few volunteers to help support our social communications for news distribution, event promotion, moderation, etc. If this sounds like you, please let us know. FMRC 2016 Camping Trip Wrap Up! 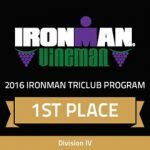 Here’s an update on our club’s status in the Ironman TriClub program: We are currently in 22nd place globally (of 583) / 15th place in the Americas (of 343) / 13th place in USA (of 250) with 104,628 points… pretty awesome in such a huge division! And we’re pretty close to cracking top 10 in the US. 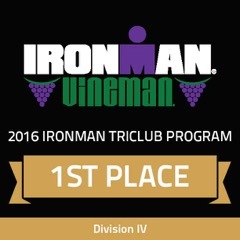 A big chunk of our points came from Ironman Vineman where we won first place in our division with over 33,000 points, thanks to: Carrie & Steve Chavez (4,000+ each!!! ); Dan Bledsoe & Ross Hillesheim (3,000+); and Eldred Fountain, Orlando Mauricio, Terry Gilchrist, Tracy Vogler, & Trent Graves (2,000+). 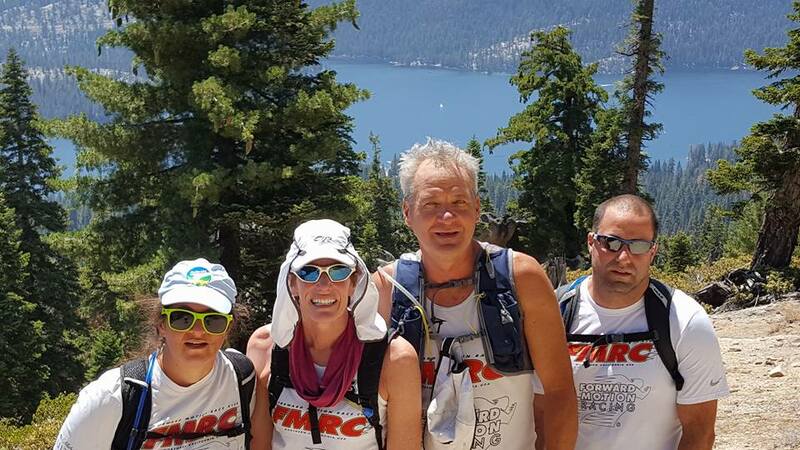 Way to go, Vineman racers!! You’ve also been seeing periodic emails from me asking for folks interested in priority entry slots for the more popular IM and 70.3 races. These slots make the whole registration process a LOT less stressful, allowing you to register BEFORE open registration. So far, we’ve given out 10 slots to Oceanside, IM Texas, and Vineman 70.3. We have one more race to give out slots for – IM Arizona – for which we have 5 slots. IM Arizona typically sells out ONSITE the prior year, so doesn’t even open up to online registration! So… these slots are very, very valuable! We only ask that you commit the Challenge Series 5+ volunteer hours back to the club in order to use these slots. If you pre-ordered a tri or bike kit from Squadra, it is in the Forward Motion Store for pickup. We have some limited extra inventory on over-order available for purchase in the store also. Running kits are also available in store. On a go forward basis, we will be stocking the tri basics (tops and shorts) in the store. Once a year, we will open a club gear order for the full product line with Squadra. We are moving our cycling kits to an on demand storefront with Jackroo. More details to come on that with the order link on the website in the near future. Did you know that there is an entire section out on the website dedicated to board activities and the club operations? Want to find our bylaws, read board minutes, see how to interact with the board to participate or have your opinions heard? Check it out. See our 2016 progress report on our board goals from the beginning of the year. There is a lot of behind the scenes operational work that has been completed. We are closing in on the end of the year. Don’t forget to get your challenge series races entered, check the calendar for those last points you need and get in your volunteer hours sooner rather than later. There will be separate prizes for our ambassadors versus our general age groupers, so check out your rankings. You may be closer to the top than you think.